THE BLACK RAT INFESTIVAL !! UAJCA is delighted to announce that entries for the 2019 UAJCA Festival on 16th June are now closed. All max 30 places are now filled. So all three age-groups will have two groups of 5 and a group programme of 4 matches each, with group winners progressing to the final. This BLACK RAT INFESTIVAL for 2018 was greeted with cloudy, cool overcast conditions but which warmed up later and then cooled again but thankfully with no rain. The under-13s competition embodied a new format for 7 teams, playing each other once, so six fixtures each brought a punishing schedule!! At under-11 the format was as in previous years of two groups of 5 teams [4 fixtures each] with group winners contesting a final. Finally at under-9 we had again two groups but each of 4 teams. The Trent Bridge pitch featured Thde two Worth Valley teams from Oakworth and Oxenhope along with Skipton and Lowerhouse. The first three each claimed 2 wins with Lowerhouse losing all 3 fixtures. A thee-way bowl proved exciting for players and spectators with Oxenhope claiming overall 1st place in the group. Oakworth took second place thanks to a strike from Phoebe Raby. On the Edgbaston pitch Earby, Steeton & Wharfedale were joined by last year's winners Bilton. Clear winners were again Bilton with Earby in second place. So the semi-final line up proved to be Oxenhope vs Earby and Oakworth vs Bilton. Both Worth Valley teams came through to meet in the Final. Oakworth had defeated Oxenhope in their group match and so started favourites and so it proved with some lusty hitting from openers Joe Powell and Ollie Thompson providing a hurdle Oxenhope couldn't overturn. 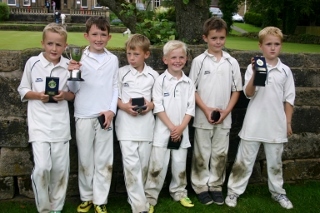 So Oakworth took their 2nd under-9s Cup, having won their first in 2014. The new format of 6 matches proved a hit with the destination of the Cup decided bybthe last match. The early pace-setters were Oakworth and Lowerhouse with Steeton and Earby snapping at their heels. A surprise supset for hosts Skipton came from Oakworth 'B' but Oakworth 'A' encountered strong resistance from Steeton, who edged a 1-run win to dent the Worth Valley hopes. Lowerhouse continued serenely to 5-0 record with Oakworth standing 4-1. The pair met in a final pulsating group match. If Oakworth could win they would force a fourth bowl-off for the day, otherwise Lowerhosue would be unbeaten winners. What a final match! Lowerhouse scored 46 in their five overs, possibly under-par in the face of excellent bowling from Oakworth. Oakworth batsmen punished some wayward bowling and raced to victory with an over to spare. The bowl out was as scintillating as could be expected. Several bowlers missed by fractions but Lowerhouse took the early lead only to be clawed back By Oakworth on two occasions. The sudden-death format sorted the winners which proved to be Oakworth with a fifth strike in the event from Charlie Jackson. So Oakworth competed a double with skipper Charlie Raby lifting the Cup, to leave a disappointed Lowerhouse runners-up for a second successive year. UAJCA is delighted to welcome local cricket sports company BLACK RAT CRICKET as its new sponsor for the UAJCA Festival - now officially the INFESTIVAL. BLACK RAT CRICKET and UAJCA are delighted to announce the new partnership between ourselves. BLACK RAT CRICKET will now be the main sponsors for the UAJCA 6 a side tournament, the INFESTIVAL!! Black Rat Cricket says "It's an absolute pleasure to be involved with the league and this event, and shows our commitment to the grass root game we all love". Look out for the infestation !!!!!!!!!!!!!!! Riddlesden u-11s are the latest to join the Festival, entries confirmed for the UAJCA Festival on 17th June 2018 are as below. UAJCA is pleased to report that guest sides First Cricket [Louth], Lowerhouse and Bilton [Aire-Wharfe] will again be competing in the Viking Bats Festival. It will be the third visit from the Lincolnshire poachers whilst Bilton and Lowerhouse will return in numbers. 2017 VIKING BATS FESTIVAL - THE BEST YET? The UAJCA 'Viking Bats' 2017 Festival is set to go on 18th June. There are 10 places available at each of the 3 age-groups. This year again we will have guests, from Clitheroe CC from the Lancashire League, Bilton CC from the Aire-Wharfe League and once again from Lincolnshire First Cricket with Arran Brindle. The Festival entry is almost full with 29 teams, 1 vacancy at under-9. Please enter as soon as you can to avoid disappointment. The 28 teams were initially greeted with sunshine, which became cloud and later rain. Thankfully all matches were completed without mishap. The under-9s competition had 8 teams with 2 groups and play off for all 8 places. The 'Trent Bridge' Flicx pitch hosted Steeton, Bradford & Bingley, Oakworth and Earby B with Bradford & Bingley coming pout on top with 3 wins ahead of Oakworth with 2. The adjacent 'Edgbaston' pitch had Wharfedale, Earby, First Cricket and Skipton. Our visitors from Lincolnshire performed well winning their 3 matches ahead of Skipton . The semi-finals resulted in wins for the two 'Edgbaston' teams, who would meet again in the Final. This time Skipton had the upper hand, overturning their group result to take the Trophy for a second time having won it in 2011. For First Cricket it was a successful 'return' to UAJCA for Arran Brindle, herself a Hargreaves Cup winner in 1995. 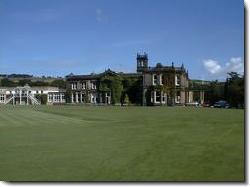 The 3rd-4th play-off was won by Bradford & Bingley over Oakworth. 5th was Earby, 6th Steeton, 7th Wharfedale, 8th Earby B. At 'Headingley' and 'Old Trafford' the under-11s groups camped for combat. At 'Headingley' Oakworth B played with smiling faces despite not winning a group match and 4th place went to Cullingworth with 1 win. Embsay were third with Steeton runners-up, losing only to unbeaten Earby, who qualified directly for the Final. The 'Old Trafford' grouping was headed by holders Oakworth who also won their 4 matches, edging out Skipton. 3rd came Wharfedale, 4th was Bradford & Bingley with winless Oxenhope in 5th. 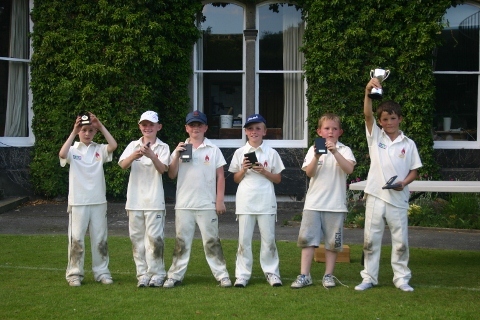 The Final was won comfortably by Earby who added a first u11 Cup to the u13 Cup won in 2009. 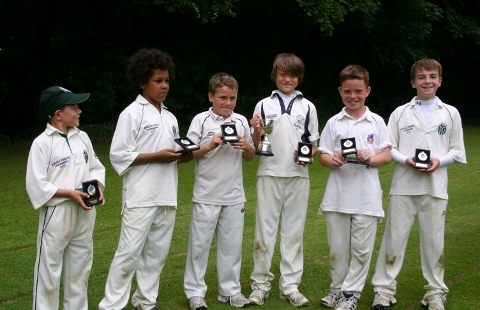 At 'Lords' Oakworth under-13s proved irresistible winning all their games in fine style. Runners-up were Bradford & Bingley followed by Earby, Sutton and Wharfedale. The 'Oval' pitch proved a tough group. Cullingworth won their first 3 matches whilst Steeton finished with 3 wins and 1 defeat. The final group match was Skipton vs Cullingworth and if the latter proved winners, they would qualify for the Final with Oakworth. However, if Skipton came out on top a 3-way tie would require a 'Bowl Out'. And so it worked out, with the bowl-out determined on the fifth round by Jacob Terry's strike for Cullingworth. No-one else hit the stumps so Cullingworth progressed to the final. The final proved an excellent match with Cullingworth posting 52, led by Kyle Welsh and featuring 2 wickets for Oakworth skipper Bradley Powell. Oakworth started in fine style but lost three wickets on the way to the last over when 11 runs were still needed to take the u13 Cup. This became 9 off 3 before a hook from Bradley Powell went for six to completely change the equation. The next ball the Oakworth Captain hit a four to win the Final with 1 ball to spare. Joe Powell stood in for Ellis Marshall, who had left. Can you spot him? The raffle for Yorkshire Cancer Research featured 27 prizes [4 unclaimed] which raised £200 for the Charity. Sophie Bunker, their Community Engagement Officer will attend the Festival with a gazebo/stall to provide a range of advice and information on sun awareness to everyone attending. The Charity will be raising funds on the day through sale of raffle tickets [to be drawn on the day]. With our support it is hoped a substantial amount can be raised for the Charity. If clubs or individuals wish to donate directly, please use the link above. On the longest day of the year the new Skipton Festival was greeted with early morning showers and a cool wind. But by the time the first matches were under way the temperature rose and the clouds parted. The arrangements for the six pitches and associated support tents, shops, stalls etc were incredibly clever and fantastically well organised. The Skipton organisation machine had swung into action until midnight on Saturday and were back at the crack of dawn on Sunday. Sandylands looked and felt resplendent and we were rewarded by a massive turn out of people to play in and watch the 33-match scheduled match programme. The Under-13 competition took centre stage on the 'Lords' and 'Oval' pitches and it became clear both groups would be very competitive. On the Lords pitch [Skipton pavilion front] Oakworth were upset by Wharfedale, thanks to 42 by Henry James in a 43 team total; but who in turn were defeated by Earby in a high scoring encounter. Oakworth took the honours against Cullingworth by 12 runs and so after 3 matches Earby stood on 9 points, followed by Oakworth and Wharfedale each on 6. The final matches were Wharfedale vs Cullingworth and Oakworth vs Earby and both were keenly contested. Wharfedale lost to Cullingworth so the winner of the Earby-Oakworth clash would progress to the Final. Earby posted 49-3 and with 7 balls remaining Oakworth stood on 41 but with the last pair at the crease. A suicidal 2nd run attempt scuppered their chances which had looked good and the West Craven boys sailed into the Final. At nearby 'Oval' a game Oakworth B team nicked a surprise point from Skipton in a tied match. Steeton saw off Oxenhope, Embsay and Oakworth B to be unbeaten on 9 points with Skipton standing on 8. Their meeting attracted a large following with Skipton posting a 53 first knock. Loss of 4 wickets curtailed the Steeton reply and as in the first group they fell short by 7 runs. 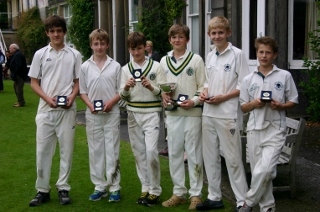 The last match to conclude the Festival was the under-13 Final, Skipton vs Earby and what a cracker it proved. As in the two key group matches the team batting first came out the winners. Earby's 50 just proving insufficient to overhaul the Skipton 56. But what great cricket to watch!! Playing on two Flicxx pitches [Headinley and Old Trafford] Earby and Oakworth looked likely winners of Group 1 whilst Great Horton Church and Cullingworth headed the 2nd Group. Oxenhope and Skipton each ended in 3rd place in their groups and the conclusions to both Groups produced an Oakworth vs Cullingworth Final. Cullingworth reached the Final after a very close battle with GHC running out the victors by 7 runs and reaching 50 or more in all their 4 round-robin matches. The Earby-Oakworth encounter rested on a sharp bowling performance from Oakworth who restricted Earby to 29-5 before claiming the win. The Final proved a showcase for Elliot Robinson with 40 from an excellent total of 63-1 and one which was too many for Oakworth who scored 35-1 and so Cullingworth's youngsters took the honours. The day had proved to be well beyond the organisers expectations and everyone praised the immense contribution from the Skipton faithful. 2016 is promised to be yet bigger and better. Can't wait. The 2014 Festival was the first to start with rain falling as the weather forecasters got it completely wrong. But the early morning rain fizzled out by 9:30am and the Festival assumed its usual course. The draw for the u-13 competition showed Group A very strong and soon enthralling quality cricket ensued. Malsis School team proved one of their weaker year groups and surprisingly failed to win a group match. Upper Wharfedale by contrast were early leaders defeating Great Horton Church and Skipton as well as the School. Skipton also upset Cullingworth and the prospect of a 3-way bowl-out loomed. Cullingworth needed to defeat Upper Wharfedale to set that up but they failed as the Dales boys passed their 42-2 tally. In group B, Steeton were off to a flier and a Tied match between Wilsden and Oakworth promised an intriguing calculation. The final group match between Earby and Steeton would decide the finalists and Steeton accomplished that by limiting Earby to 18 and winning with 1 wicket down. Oakworth and Oxenhope finished joint third with Wilsden on 4 points after a second Tie with Oxenhope. So the Final was to be Upper Wharfedale vs Steeton. A posting of 58 from the Dales boys was the highest on the main pitch and their bowlers proved far too restrictive for Steeton who managed just 20 in reply. Upper Wharfedale were very worthy winners. The under-11 Cup commenced with first up wins for Cullingworth and Wilsden. Whilst the former continued to flourish the latter found the going much harder. Cullingworth headed their group without losing a game with Steeton as runners-up whilst clear losers by 19 runs to Cullingworth. The Group B leaders proved to be Oakworth who also remained unbeaten. The Final was to be a repeat of the 2013 Final but this year Cullingworth ran out winners after an aggressive finish from Kyle Welsh brought them the silverware with just 3 balls to spare. On the Tennis Court the u-9s groupings went to the wire with Oakworth heavy scoring winners of their 3 matches. Lewis Brown was a revelation scoring 45 and 53 in his first two innings. Earby proved best of the rest and qualified to meet winners of Group A. That group proved topsy-turvey and 3 teams Cullingworth, Malsis and Great Horton all finished on 6 points. A 3-way bowl off brought group winning to Malsis School whilst the sudden death went to Great Horton Church. Oakworth again in high-scoring mode posted 50 runs which was 15 too many for the Great Horton boys. The 32 from the Malsis School was surpassed by Earby with Adam Hodge again showing fine batsman-ship. So the Final was to be Oakworth vs Earby, both from Group B. Oakworth posted 45-3 with Lewis Brown again featuring prominently with 20. Adam Hodge opened for Earby with a first ball boundary and with 4 byes from the next ball their challenge was posted. A remarkable catch from Ben Hawkes proved a pivotal moment as his victim was the free-scoring Hodge. The next over saw 3 wickets fall as Oakworth asserted their ascendancy. The Earby innings petered out to 26 and the Cup went to Oakworth. Entries for the 2014 Festival were sought at the UAJCA AGM and defending winners from 2013, Cullingworth [u13], Oakworth [u11] and Gt Horton Church [u9] are all in the entry list [see below] fallowing the AGM. The competition line-up is now complete. The Final was an intriguing affair and settled by the better bowling side. the overall strength of the Cullingworth attack proved more able to restrict than did that of the School. The Cullingworth total of 46 was only marginally above par but their bowlers contained the School lads to 32 and took the Trophy for the first time. 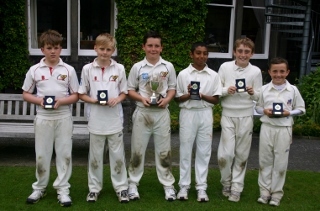 The under-11 competition also provided some entertaining cricket with the two Oakworth teams prominent in both groups. Their A team chased down a good score of 46 by Skipton. The Aire Valley Angels struggled to cope with energetic new format and found scoring difficult. Cullingworth emerged as the team to beat but they still had the Oakworth B team encounter and they had 3 wins to their credit. Meanwhile in the Pink group The Aire Valley Angels battled hard but found the new format difficult and were unable to break their duck. Cullingworth proved strong candidates to qualify whilst Oakworth B also won their first 3 matches to challenge the Bingley area side. Cullingworth took that match and qualified for the final against the Oakworth A team. It was watched by a large contingent from both clubs who witnessed some high quality cricket. Oakworth batted first and scored a solid 41 thanks to some lusty blows from Matt Corkindale and Corey Green. Both sides had adopted a policy of fielders on the boundary and it remained to be seen who could cross the whitewash the most often. For Cullingworth Joe Hall had huge expectation and he did hit one six but he and his team mates were well marshalled by accurate bowling and top-notch fielding and a direct run-out with Joel Oxford excelling in the deep. Cullingworth soon fell behind the rate and finally tallied 31 to leave Oakworth winners of the u-11 competition for the first time. A well supported under-9 competition again had 2 groups with each team having 3 fixtures, the top two in each qualifying for semi-finals. In the Red Group Oakworth were unbeaten with Steeon as runners-up. The Orange Group had a similar finish with Great Horton emerging unbeaten and Malsis School the runners-up. In the first semi-final Malsis School got off to a real flyer with opener Tom Bailey racking up 37 on his own. Their 58 score was to prove beyond Oakworth's efforts in reaching 39-2. The second semi-final had Steeton in deep trouble against the GHC bowlers. They scored just 12-5 and the Bradford side knocked them off with 1 wicket down. So the Orange group provided both finalists and the GHC team repeated their group win over the School. Malsis School tallied 30-5 with Great Horton Church making 34-1. So in their first ever entry the league new boys came away with silverware. The 2013 Malsis Festival will unfold a week earlier than usual , on Sunday 16th June. The format reverts to one which includes playing of age-group finals on the age-group pitches rather than all on the main pitch, which led to extended delays in 2011. After the 2012 wash-out the School and UAJCA are looking forward to a return to the excellent sunshine enjoyed in 2010-2011. The 2012 Malsis Festival will unfold a week earlier than usual in 2012, on Sunday 17th June. The format will revert to one which includes playing of age-group finals on the age-group pitches rather than all on the main pitch, which led to extended delays in 2011. Provisional entries are currently 9 teams at under-13 (1 vacancy), 7 teams at under-11 (3 vacancies whilst the under-9 competition is complete with 8 entries. All three 2011 winners will be defending their hard-won trophies whilst new club Great Horton Church have entered the day-long under-13 competition. Wilsden u-11 too are first time entrants as are Haworth in the u-9 tournament. The provisional entries are: Under-13: Upper Wharfedale (2011 winners), Malsis School, Silsden, Skipton, Steeton, Cullingworth, Earby, Great Horton Church & Oxenhope. The under-11 competition entrants are: Malsis School (2011 winners), Skipton, Earby, Steeton, Wiulsden, Cullingworth & Oxenhope. the 8 teams at under-9 are Skipton (2011 winners), Malsis School, Earby, Steeton, Cullingworth, Oxenhope, Haworth, Wilsden. The draw will be announced in May. The forecast mini heat-wave duly arrived and the cricket at Malsis matched the wonderful weather. After weeks of rain intervals, the pitches produced slow, low bounce and made big hitting difficult for the batsmen. The under-11s groupings in particular had a series of low scores and under-13 scores were well down on previous years. The under-11 contests found scoring difficult and the highest score of the day was just 31. In group A three teams Malsis School, Earby and Silsden finished their group with 3 wins so a three-way bowl out was invoked. After six balls each, Earby dropped out with no hits whilst Malsis and Silsden went into a sudden-death bowl-off. It was the School's Waseem Qureshi who made the breakthrough, following up his first 'hit' with a second to claim a place in the Final. Group B saw Oxenhope complete an unbeaten four games ahead of Oakworth who lost just the once. So Oxenhope progressed to the Final with holders, Malsis School. 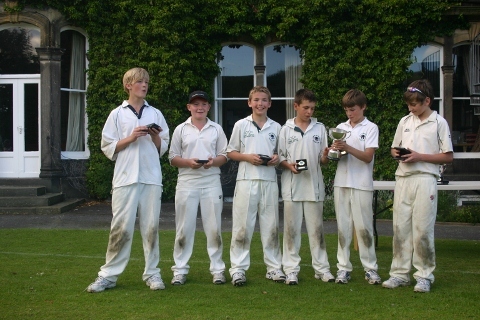 The first Final was for the u-11s Cup and the Final went to the last over and Oxenhope needing a tall order 14 to win. They scored nine to take their total to 27, five less than the jubilant Malsis School team, who took the Cup for a second year. The competition for under-13s was as tense as ever with Group A Malsis School, the holders, showing excellent form. The other teams continued to beat each other and the School progressed to their successive Final. In Group B competition was as keen as ever and Upper Wharfedale, Ingrow and Earby were the pace-setters. The Dales side went through the group unbeaten, their first match victory over Ingrow proving vital. The 8-team under-9s competition wasn't of course affected on the all-weather surface and a well-contested competition unfolded from the two groups. Group A boiled down to a deciding match between Steeton and Oxenhope with the Worth Valley side emerging victorious. Oakworth B team were very competitive in the group which also included Earby. The Group B produced an unbeaten record for Oakworth with Skipton taking the runners-up spot after a win over Wharfedale. Malsis School, in their first entry at under-9 level, found the going tough and failed to win a match. The semi-final line up was Oakworth vs Steeton and Oxenhope vs Skipton. Naturally the two unbeaten teams Oakworth and Oxenhope anticipated an all-Worth Valley final but Skipton had other ideas and spoiled the party with a win whilst Oakworth did overcome Steeton. The Final would be a Group B affair with Oakworth starting favourites in view of their group win. Once again UAJCA are indebted to the School for its unwavering support of local Festival cricket. Clearly the Association will have to look again at the structure as the increased attendance was at the expense of a very late finish after 6:30pm, over an hour later than expected. The crowd enjoyed the best weather of the year to date and some 'champagne ' cricket, spoiled only by one incident in the under-13 competition. Malsis School will for the first time enter the under-9s Malsis Cup competition at this year's Festival. They will join Steeton (holders), Oakworth, Upper Wharfedale, Skipton and Earby in pursuit of the silverware. Oxenhope u11, defending CartaSort League Champions for the last 3 years, will complete the line-up for the 2011 Malsis Festival. All age-groups are now full for 2011. At the UAJCL AGM, provisional entries were received for the 2011 Festival, now in its 6th year. The Festival in 2011 will be held on 26th June. This season the School will be defending two age group trophies, won in 2010. 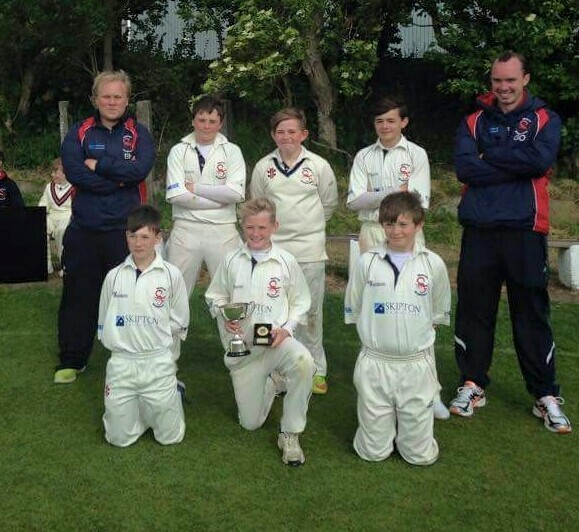 Steeton CC will be hoping to hang on to their u-9 title, picked up last year. The Festival 'picnic' is a s popular as ever and Clubs were very keen to get their entries in and the u-13 and u-9 competitions were 'fully booked' on 20th January. There currently remains one place in the under-11 tournament. The under-13 competition will once again feature ten teams, organised into 2 groups of 5. The teams are Malsis School (holders), Upper Wharfedale, Skipton, Oakworth, Steeton, Silsden, Cullingworth, Ingrow, Settle and Earby. At under-11 the current entrants are Malsis School (holders), Upper Wharfedale, Skipton, Oakworth, Steeton, Cullingworth, Silsden, Earby and Cowling. The youngsters at under-9 will be Steeton (holders), Oakworth, Upper Wharfedale, Skipton and Earby. There is a possibility that the School may also enter for the first time. Entrants will be circulated with the organisation and playing rules nearer the date. On a day when the temperature touched 26 degrees, the Malsis Festival was magnificently supported by 24 of our teams. England were playing Australia at Old Trafford and oh I think there was a football match on the Telly. But our clubs and boys, their parents and friends all turned out with gazebos, tents, camping chairs and all manner of out-door gear. The crowd was estimated as our highest yet at around 600 with the School completely selling out of canned drinks and sweets! The cricket matched the weather, it was glorious! The Malsis School u-13s kicked the tournament off in impressive style with an 86 score against Silsden including 55 for Will Greenwood. was disrupted slightly by the Friday withdrawal of Steeton and the Malsis, Oakworth, Earby, Silsden group was a tough one to come through. Malsis and Oakworth emerged un scathed and their semi-final was keenly contested with pupils playing for Oakworth and vive-versa. 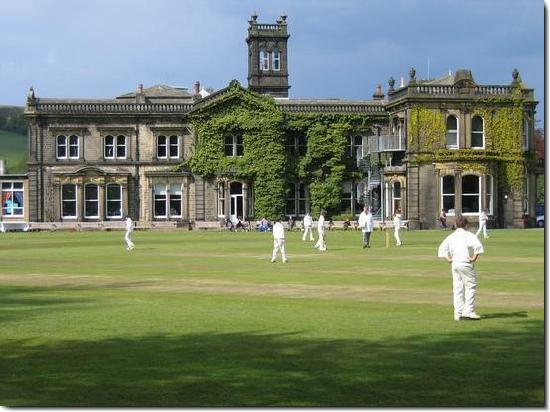 The School's 56 was marginally above par and despite an early wicket loss Jack Keighley kept them in the hunt. They made 40 after the School fielding excelled to support their accurate bowling. was also a tense affair with Malsis again clear, unbeaten winners of their group. Oakworth and Silsden Eagles were joint second with 3 wins ahead of Skipton and Wharfedale Rams. The other group had sharp competition from Cullingworth, Settle and Earby with the Cobras in their Festival debut the group winners with 3 wins, having lost only to Wharfedale Stags. The Final was a close affair with Cullingworth making 35 in response to a Malsis 41 posting. The School had now won both it's 2010 competition Finals and are contemplating an under-9 entry in 2011. The Malsis team received their mementoes and Cup during the u-13 Final interval to give their senior colleagues a boost in their quest. for the first time had six teams, two coming from Oakworth. The group, organised in one round-robin group, was dominated by the Steeton team who comfortably won all five of their matches to signal a challenge for the forthcoming UAJCL Summer Tournament. The runners-up were Skipton with 3 wins. 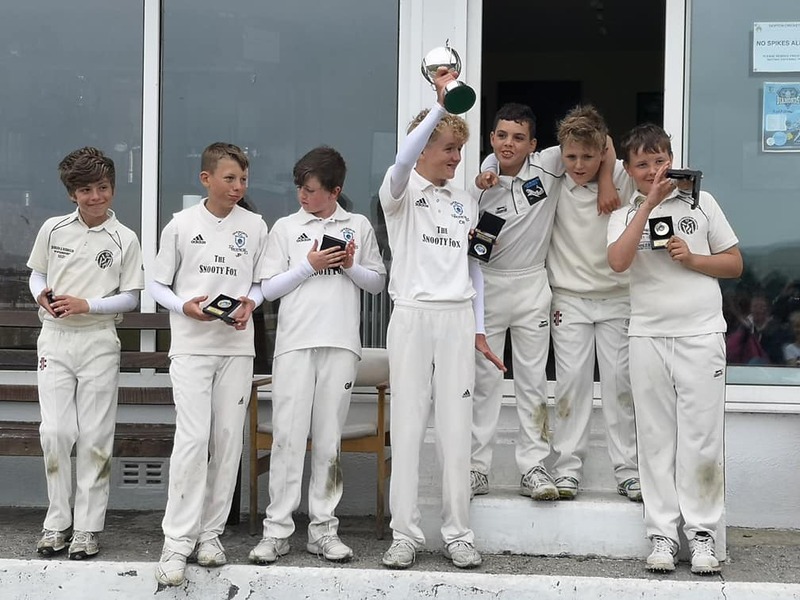 The round-robin format did not require a Final and the Steeton boys received their Trophy during the u-13 Final interval with much obvious delight. The Festival is now firmly cemented as part of UAJCL and the School calendar and will take place again in 2011 around the mid-end of June time. The 2010 Malsis Festival is scheduled for 09:30am on Sunday 27th June 2010 at Malsis School Glusburn. The day will showcase 10 under-13 teams, 8 under-11 teams and 6 under-9 teams drawn from across UAJCL and the School. Current holders of the under-13 title are Earby whilst Oxenhope hold the u-11 trophy. U-9 winners were Upper Wharfedale. The 2009 event featured 22 teams on a wonderfully sunny afternoon and was a real entertaining feast of six-a-side cricket from UAJCL and the school's teams. This year's Festival is again very well supported by 24 UAJCL teams and will be organised on a similar basis for u-13, u-11 and u-9s. All teams will play initial matches in round robin format. The groups will be u-13 Group 1 Glusburn, Skipton, Ingrow, Oxenhope & Gargrave; u-13 Group 2 Steeton, Malsis School, Silsden, Oakworth & Earby. The winners of each group will progress to the Final. At under-11 the two groups will be u-11 Group 1 U Wharfedale Rams, Silsden Eagles, Malsis School, Oakworth & Skipton; u-11 Group 2 Earby, Cullingworth, Wharfedale Stags, Silsden Hawks & Settle. The top two teams in each group will qualify for semi-finals. The under-9 group will play each other once and the top two will contest a Final. If teams finish level a bowl-out competition will take place. For each match won, teams will receive 3 points, each match tied 2 points and each match lost 0 points. Un-played matches (for any reason) will be awarded 1 point each. Normal cricket playing and scoring rules will apply; ie wides & no-balls.Teams may bring as many players (& supporters) as they wish. However only 6 may play in each match. Five players will bowl one over each. The wicket-keeper may not bowl, changes will not be allowed unless for injury. There are no retirements for batsmen. UAJCL Fixture Secretary Terry Thompson said "This the third time Malsis School have hosted the full Festival event and once will put in magnificent effort into organising this day for us. We sincerely hope last year's good weather repeats so that all the young players and their families can enjoy the giant picnic atmosphere at a wonderful setting. The exciting spectacle of six-a-side cricket for all three age groups has proved to be most enjoyable in recent years and we expect UAJCL competing clubs and the Malsis School boys will again do so." The hugely popular Malsis 6-a-side cricket Festival will be held this year on 27th June. The School and UAJCL will continue their now five year association in presenting the giant cricketing extravaganza and picnic. 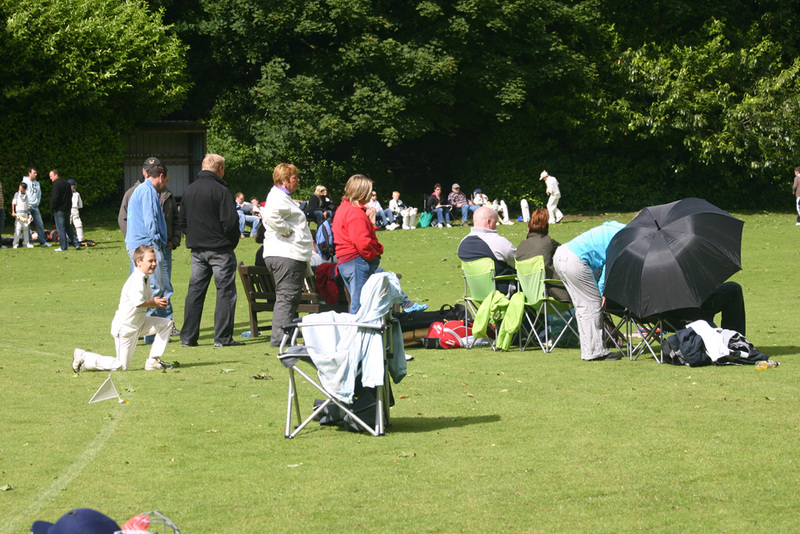 In 2009 an estimated 400 plus people attended and enjoyed some terrific cricket including a first ever bowl out. 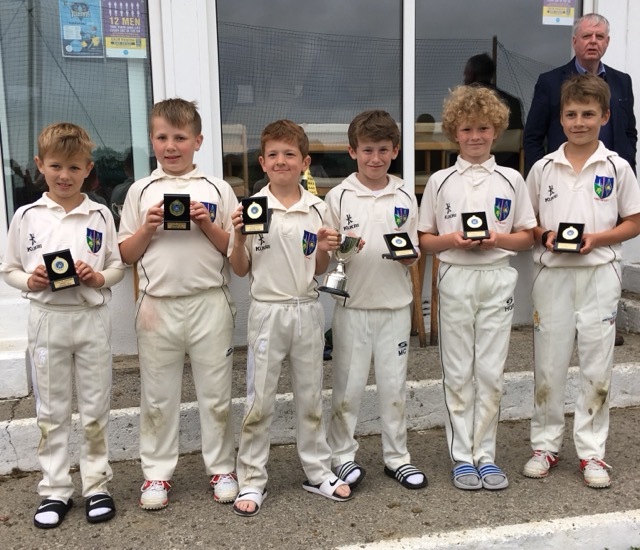 The under-9 competition is fully booked with five teams contesting the trophy won last year by Upper Wharfedale, who will be defending their win. Also contesting will be Skipton, Steeton, Oakworth and Earby. 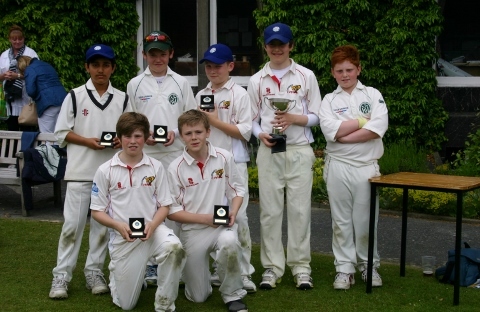 This year the under-13 entries will be Earby (winners in 2009), Oxenhope, Skipton, Glusburn, Ingrow, Silsden, Oakworth, Gargrave, Steeton and of course the School (runners-up 2009). The under-11 competition now has 8 entrants with room for two more. Taking part will be the School, Wharfedale, Silsden, Skipton, Earby, Oakworth, Cullingworth and now Settle. Sun, glorious sun and cricket in 2009! 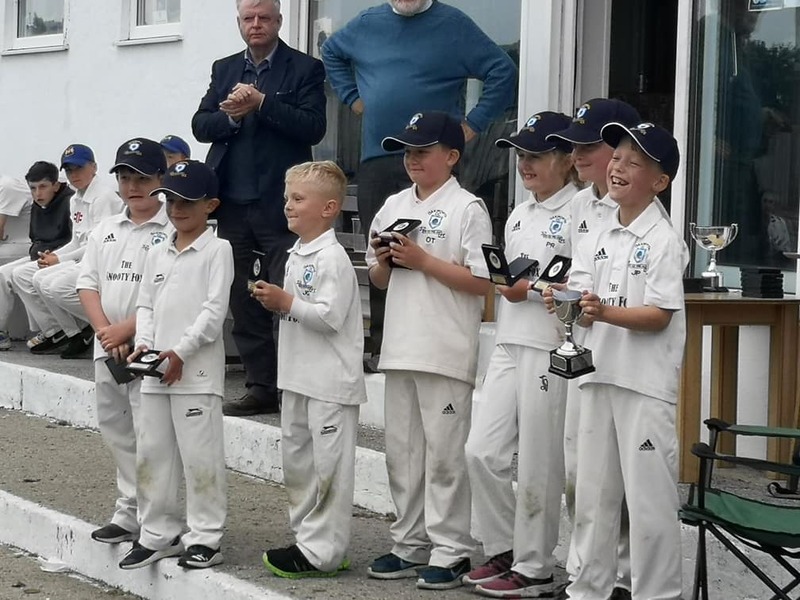 The sun shone and shone, the crowds turned up and a wonderful second tournament was enjoyed by over 150 young cricketers and their families and supporters. The magnificent Malsis School building and grounds were resplendent for our mid-season fun-break. After having a withdrawal from Settle u13 on Wednesday and Denholme u11s on the day, our organisational abilities were tested to the full. The under-13 had none teams and a two-tier arrangement of three groups of three was instituted and worked a treat. The under-11s had seven teams and instead of the planned two sub-groups, one group of 7 produced a non-stop programme of 21 matches each team having six fixtures. That too worked well but what a finish. 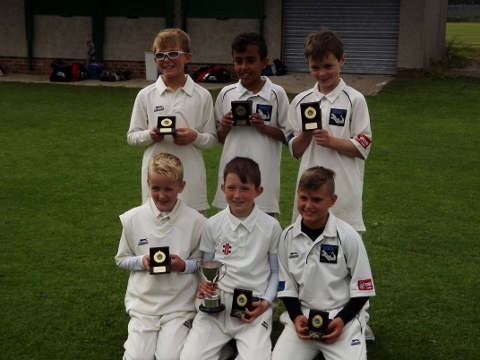 The under-9 competition unfolded entirely as planned with Oakworth and Steeton finding the five team competition tough. Steeton won their encounter with Oakworth to register a sole victory. Both these teams succumbed to Earby, who lost to both Upper Wharfedale and Silsden to leave the last round-robin between two unbeaten teams. Silsden took the honours in a low scoring affair but both teams knew they had qualified already for the Final. The Wharfedale line up was shuffled and Freddy Binns took 32 from the Silsden attack and a daunting 61-0 target was posted. The Silsden lads grouped around Louis Horsfield who plenty of boundaries but couldn't match the Dales boys rate. His side finished on 35-5 in an entertaining final to a great days work out for our youngest players. The intricate under-13 arrangement was soon understood and the initial round robin had Earby, Malsis School and Glusburn all unbeaten and they formed the next grouping. The 3 teams which finished in second place were Oakworth, Haworth WE and Skipton to form another new grouping and finally Gargrave, Embsay and Silsden made up the final trio. It soon became apparent that the teams to beat were Earby and Malsis School and when Oakworth and Skipton tied on 48 runs each, the expected final was assured. The Final was a classic with the round-robin form guide having gone to Earby. The Earby side batted first and a 39 total was below par on earlier scoring. The well-matched sides produced tension-packed cricket and the School concluded their innings on 36 just 3 runs adrift. Earby have been supporters of the Festival for all 4 years and it was their first Trophy win. The 21-match under-11 League kept an enormous gathering cheering and shouting all day with again two sides showing outstanding form; Malsis School and newcomers Oxenhope. 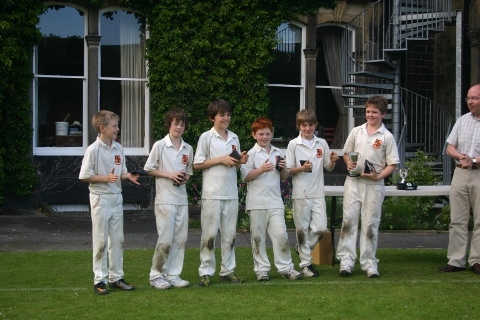 The School had won the Trophy in 2008 and were defending it well until their fourth match against Skipton which again was low scoring with the Marketeers snatching the points. The schedule had deemed the School would face Oxenhope in their last match and as the latter remained unbeaten it would decide the winners .. or would it? There was a second tied game between Haworth West End and Earby to keep their supporters in vocal mode whilst a poor start from Oakworth was partially turned round in their fourth round. The awaited Oxenhope-Malsis match had the School knocking up 61 as a massive challenge to the still unbeaten Worth Valley boys. They managed 48 and both teams had now 15 points and the destination of the trophy was to be decided by a first ever bowl-off. Each teams five bowlers would bowl at the stumps and if level on hits would then go to a sudden death knock-out. First up Tom Addison hit the timber for an early blow for Oxenhope but a second round equaliser from Harry Phillipson made it 1-1. The lead swung back to Oxenhope when Callum Holmes found the woodwork. The final round had all the pressure on Rory Garnett but amazingly he did the biz and it was tied at 2-2. So sudden death it was to be. Three more scoreless rounds heightened the tension and pressure substantially but that lad Callum Holmes did it again to win the Trophy for Oxenhope as his strike went unanswered. Phew !! The 2009 Malsis Festival is scheduled for 09:30am on Sunday 21st June 2009 at Malsis School Glusburn. The day will showcase 10 under-13 teams, 8 under-11 teams and 5 under-9 teams drawn from across UAJCL. Current holders of the under-13 title are Oakworth whilst Malsis School hold the u-11 trophy. U-9 Summer Tournament winners Silsden also won the under-9 Malsis Cup. All teams will play matches in round robin format. For each match won, teams will receive 3 points, each match tied 2 points and each match lost 0 points. Un-played matches (for any reason) will be awarded 1 point each. Normal cricket playing and scoring rules will apply. ie wides & no-balls. Teams may bring as many players (& supporters) as they wish. However only 6 will play in each match. Five players will bowl one over each. The wicket-keeper may not bowl, changes will not be allowed unless for injury. There are no retirements for batsmen. Last year's inaugural event featured 25 teams on a wonderfully sunny, if windy afternoon and was a real feast of entertaining six-a-side cricket from the Area's UAJCL and the school's teams. This year's Festival is again very well supported by UAJCL clubs and will be organised on a similar basis for u-13, u-11 and u-9s. UAJCL Fixture Secretary Terry Thompson said "Malsis School once again are putting a superb effort into organising this day for us. We pray for good weather so that all the young players and their families can enjoy a giant picnic at a wonderful setting. The exciting spectacle of six-a-side cricket for all three age groups has proved to be most enjoyable in recent years and we expect UAJCL competing clubs and the Malsis School boys will again do so."